Many industry sectors are increasingly demanding very high quality surface finishes. To address this demand, OPEN MIND offers highly efficient finishing strategies that make optimal use of machine and tool options in relation to surface quality and speed. These strategies are part of the hyperMILL®MAXX Machining CAM performance package. Finishing planar surfaces was long considered a fully developed process, and the machining times for achieving high-quality surfaces through line-by-line milling with a ball mill were simply accepted. OPEN MIND developed a completely new technology that consists of two elements: the innovative 5-axis tangent plane machining strategy and the conical barrel cutter, which can simultaneously be used as a barrel cutter and a ball mill. For the conical barrel cutter, OPEN MIND changed the form of the finishing tool to feature very large radii – ranging from 250 to 1,500 mm. The large radii of the conical barrel cutter make step-over distances of 6 and 8 mm possible. The ball mill tip on this barrel cutter is also very well suited for machining corner radii. This means that there is no longer a need to switch cutters in order to finish adjacent areas such as rounded interior corners. Companies that use these innovative strategies and the conical barrel cutter for finishing planes and free-form surfaces enjoy significant time savings of up to 90 percent. Programming in hyperMILL® is simple and convenient for users. The user only needs to click the surfaces to be machined and the position of the cutter is automatically generated. Naturally, the entire machining sequence is automatically checked for collisions. Companies that use the innovative finishing strategies in the hyperMILL® MAXX Machining performance package benefit in several different ways: short production times, increased tool life, the need to use fewer tools, the highest degree of process reliability and optimal surface quality. The very high surface finishes made possible by these strategies could never be achieved in the same cycle times when using the classic method, line-by-line milling with a ball mill. 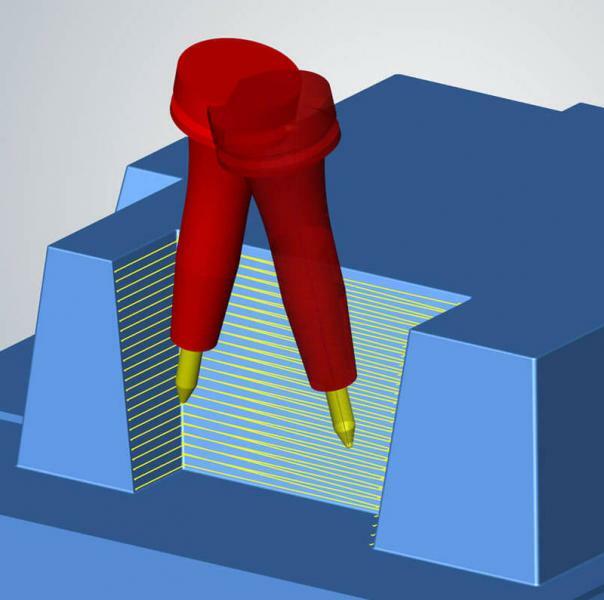 hyperMILL®allows users to achieve the best surface quality by skilfully viewing the contact situation. 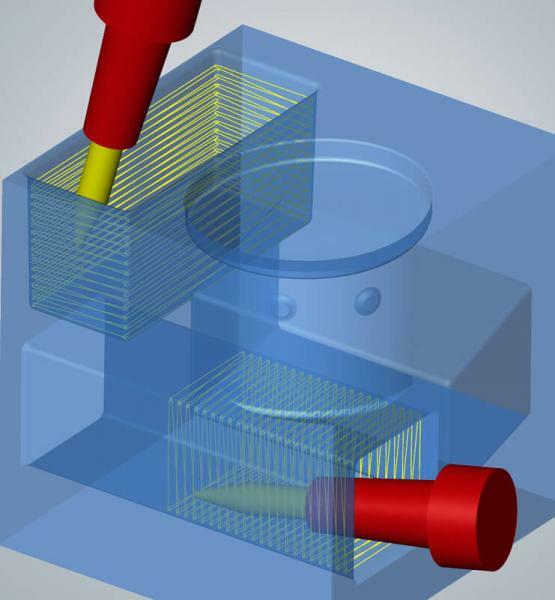 The tool is always automatically and optimally connected with the machining surface. Even hard-to-reach areas can be machined in a highly efficient, secure manner. The special tool geometry and the perfectly corresponding CAM strategy enable quality surface finish with fewer passes and to achieve the same theoretical scallop height.